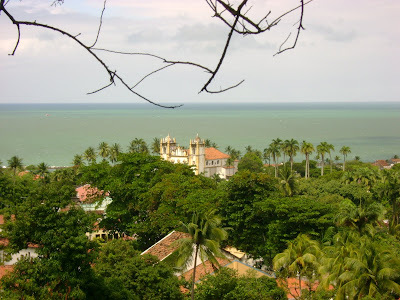 Andando por aí: Olinda é linda! 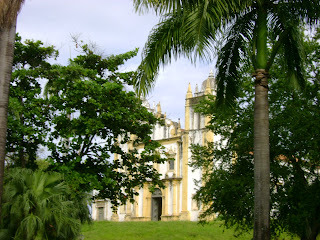 Olinda used to be the capital of Pernambuco. Nowadays the city lives of tourism which helped to keep the charm and tranquility of a small city. I was definettly in love with this little city. 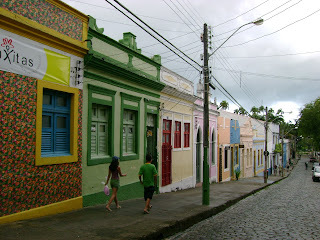 Walk on those streets with colorful cute houses and ateliês- small stores that sell arts-was fascinating. Every little street has an art store and everything is very stylish. 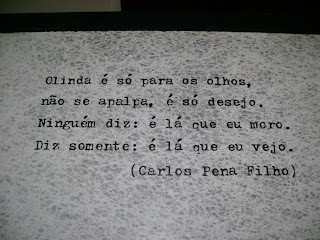 I think that everybody is artist there. Or all the artist moved there... Anyway, they definetly know how to live. 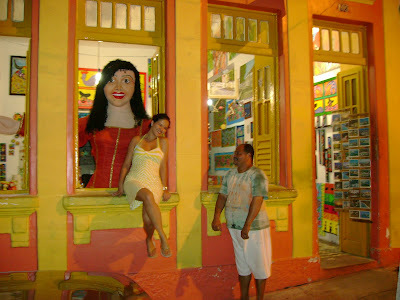 This guy was the friendly owner of this ateliê and the doll behind me is a gigant doll that defilê on the carnaval. The people were very friendly with us and there are lots of tourist guides offering their jobs on the streets. Some are very young, I saw one boy about 11 years old and he came explaining us things to show that he knew what he was talking about, very cute! 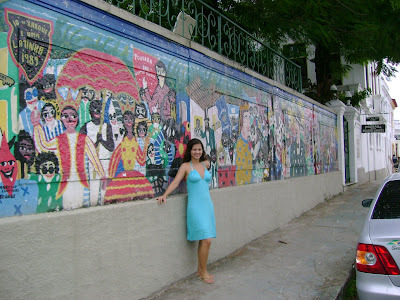 Here you can have an idea of how original and colorful the city is. 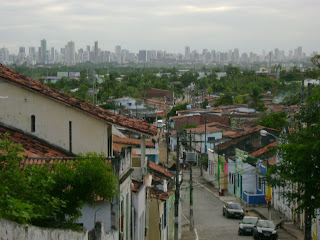 On the right you can see the capital Recife with those big buildings not so far away from Olinda.